New trailer and poster for the upcoming British indie drama. 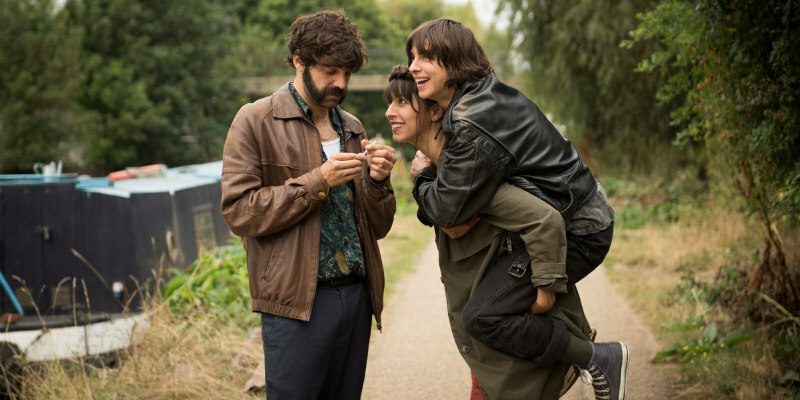 Writer/director Carlos Marques-Marcet's Anchor and Hope stars Oona Chaplin and Natalia Tena as a pair of bohemian lovers who begin to entertain the idea of having a child with the aid of a visiting male friend (David Verdaguer). Screen legend Geraldine Chaplin also stars. Speaking about his film, Marques-Marcet said: "“Where does the desire to have kids come from? I am thirty, the age that biology obligates you to confront one of life’s most important questions: Do I want to have kids or not? And another question comes with it: Is there any other way of having a family that differs from the image I have known throughout my life? The story stems from a mixture between all of the lives of the filmmakers, screenwriters, and actors. For instance, the idea of setting the movie on the London canal arose from the fact that our actress, Natalia Tena, lives in a house-boat there. By fusing our personal and professional lives, real and imaginary, I hope to reveal the kind of truth that only appears in the process of making a movie; I hope to capture that magical point at which character and actor completely fuse into one. The canal is a character of its own in the film, playing many different roles: a home, a passageway from one place to another, a symbol of freedom at times, a symbol of separation at others. This fluid universe of water and boats contrasts with the intensity of the manic “dry land” London as an important visual motif. The waves of the canal, sometimes choppy and sometimes peaceful, reflect the wants, desires, and needs of those who live on top of it as they navigate their love for one another." 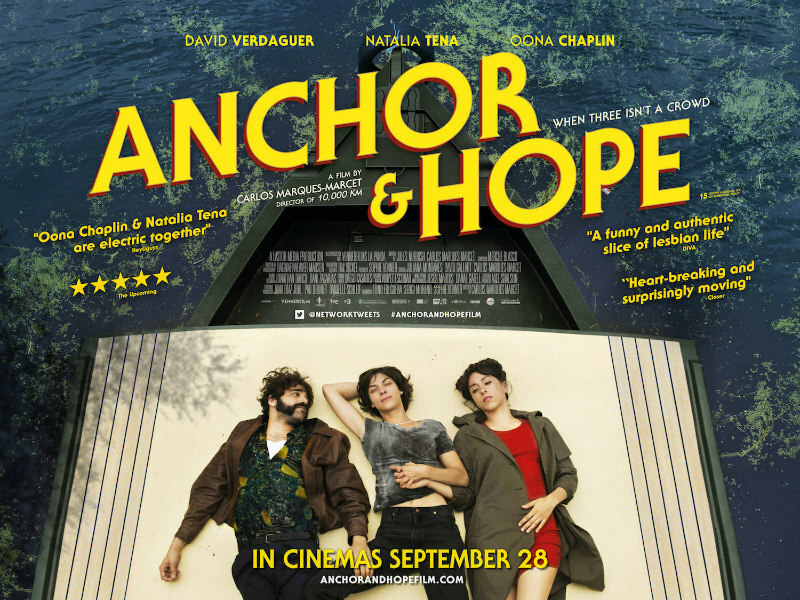 Anchor and Hope is in UK cinemas September 28th. In their mid-30s, Eva and Kat’s humble, yet carefree, lifestyle in their London canal boat gets turned upside down when Eva presents Kat with an ultimatum: she wants a child. Kat resists, knowing that it will end the bohemian lifestyle she’s always envisaged with Eva. When Kat’s best friend, Roger, drops in from Barcelona to party with the ladies, however, the three of them toy around with the idea of creating a baby together.